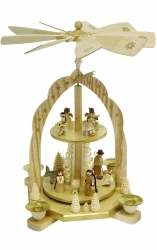 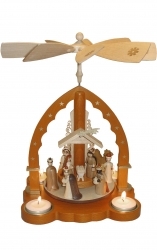 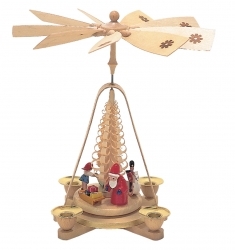 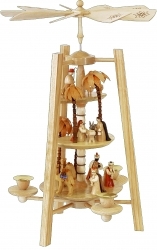 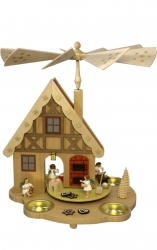 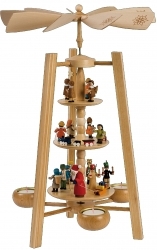 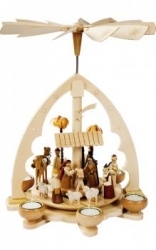 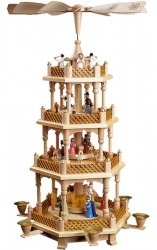 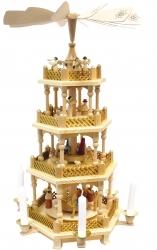 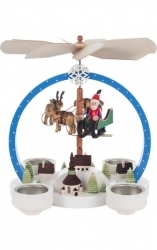 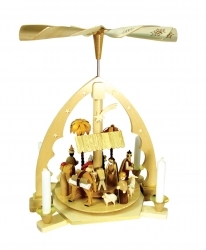 German wooden Christmas pyramids from the Erzgebirge mountains made in the town of Seiffen located in the former East Germany. 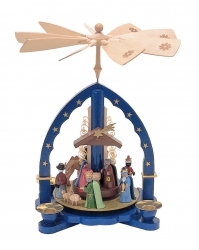 Year round we carry a wonderful assortment of these unique handcrafted Christmas decorations with different themes such as the Christmas Nativity, Angels, Ore miners, Children with toys, Dresden Frauenkirche. 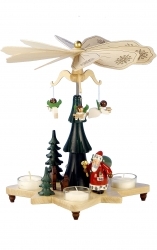 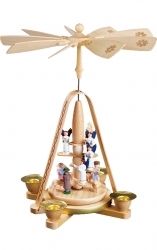 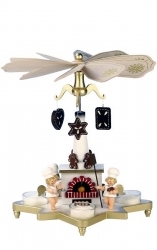 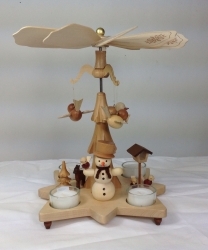 When the candles are lit the pyramids windmill blades rotate along with the decorated tier. 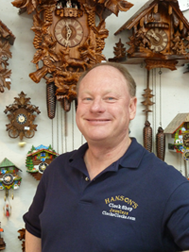 Hansons clock shop in Solvang California stocks these unique German handcrafted Christmas pyramids year round. 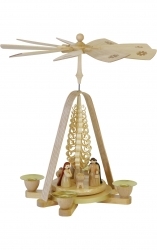 The price you see is the price you pay, free shipping in the USA.